This used to be with my Personality Please! mod. However, this didn't have anything to do with a sims personality. By moving it over here instead it makes the other mod's description easier to read and follow along with being able to find this mod more easily. Out of respect to me and any other modder you should not change something in their mod and upload it for others to download. It takes time on a mod regardless if its a core mod, script mod or just and XML mod. With all my mods so far, it takes time to go through the files, find what ones you want, decided where you want them, get them placed, make the necessary code changes, add new codes, and collect all of the loose ends to make even a XML mod to work properly. Plus with all mods regardless of their type, you have to test it, test test test over and over just to make sure you have all your codes in a row. Some of mine have enough code changes that I had to do a lot of trial and error just to find what ones I prefered and some had extra files that had to be tended to as well. So again: It is disrespectful, and hurtful to make even a small change in one code in any mod and upload for others to use. I know that there are other mods that give a risky woohoo or change the try for baby chances. However, this mod here has more than just some changing of percents. Want ghosts to have babies with this mod?-->Ghosts Can Have Babies! Change Log-->2/26/19<--Keep up with the mods changes! FIXED: All Risky Woohoo strings should now say Risky in them. This includes clicking on the object. ADDED: There were a few new strings that needed to be added for the Leaf Pile and a few others as well. FIXED: Teen Pregnancy Buffs for Trimester 2 and 3 should now appear. Patch 2/22/18: Patch added new categories for the new Jungle Adventure Pack. REQUESTED: Woohoo be changed to "Risky Woohoo"
Woohoo changed to "Risky Woohoo"
Current strings in the mod:<--You can send me your language translation and it will be added to the mod. Let me know the string with the translation. Basically all this will do is add pregnancy buffs to your female teen sim. With out this, your teen will not have the buffs so if you miss the "Eating for TWO" broadcast at the top or do not take the pregnancy test the teen's pregnancy will be a surprise till their tummy starts to get big. 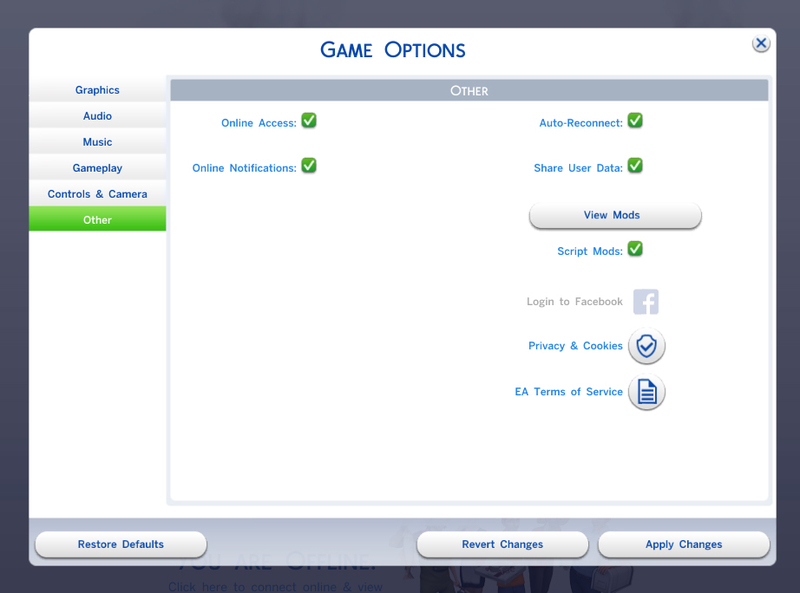 Woohoo is now changed to "Risky Woohoo"
Well you get the possibility of a pregnancy with regular woohoo. However, it is a little more than just adding pregnancy chances to the game. This will increase or decrease the possibilities based on the traits of the sim. Basically what it means is this Risky Woohoo is based off the chances of a sim using protection of some sort during woohoo. These are based off of the sims traits. Depending on the traits this could either raise the percentage from a small amount to a large amount or lower the chances the same. For example: Out of 3 generations, I had 2 sims who apparently didn't care if they "accidently" got pregnant by their lack of protection usage while my 3rd sim was very careful and never got pregnant by accident with Woohoo. These are percentages, meaning a pregnancy could happen the first time or it could take several times. In my testing I tested with the 5% chance and it took 6 times before a pregnancy and another time it took 2 times, again this depends greatly on the sims traits. The lower percentage you have, the greater the chance of a sim never getting pregnant with this interaction. I packaged all the flavors into one so I am not filling up the download section with flavors. Just unzip the file and add in the one you want. The percentage is in the title of the package. Some of these traits will increase the percentage and some of these will also decrease the percentage. All will still have a possibility in pregnancy. Teen pregnancy is not included with this mod. Player<--Can't keep track of that plus their conquests! Socially Gifted<--Pretty good at what they do with others interferes with logical decisions. Self Assured<--They are so sure of themselves they check it twice! Hates Children<--Paranoid of having kids they check it 3 times! Perfectionist<--They are just so perfect! Insane<--Really asking me why on this one! So about the extra increases and decreases of the percentage. Depending on what flavor you choose their increases will be different. I didn't want the increases to be super high so the chances cap out around 40-45 percent, Unless there are more traits involved. Not all of them are that high. Most are a lot lower and closer to the flavor that you choose again depending on how many traits the sim has that are listed above.. Thats just the highest possibilities. Basically more than one trait will create a different percentage. My sim that couldn't get pregnant because of her traits using the 15% gave her about a 1.2%-2.4% depending on fertility treatments and locations. She still could get pregnant but its a lot less likely. If there is only one trait then they all have a pregnancy chance. A few of those traits are from the parenthood pack. Parenthood is not required! However, if you do not have parenthood then those traits will not be in your game and will not affect the risky woohoo percentage. Locations Include:<--Let me know if I missed any! This changes the percentage a sim will start out with on fertility as a baby. Depending on how the sims life goes will start to shape their fertility as a teen to an adult. What do you mean shape their fertility? I didn't put in anything into the percentages that will deal with anything from a baby. So the baby will start off with the percentage you choose. As a toddler through Teen they will start learning life skills/lessons. These will take into effect the sims fertility. Teen's education will also take into effect the percentage. Once they turn Young adult their fertility will change again. Age effects fertility and starting with teens, the fertility chances will decrease as the sim ages. Changing a sims personality by purchasing lifetime rewards will also effect some of the sims fertility. There are also certain things the sim could do during their lifetime that will also effect fertility. All that has been put into the fertility percentage is done by random. There is no rhyme or reason to what I chose. I wanted it to be as random as possible when sims are growing in the game. The fertility percentage will be unknown. However, if you are trying and trying and trying and trying to get your sim pregnant and nothing is happening, let me know by giving me your try for baby percentage, your sims age, any rewards the sim has purchased, their traits, and their life skills they learned and I will give you an approx. fertility level of that sim. Are there ways to help my sims fertility? Yes! There is a couple locations that will increase their fertility while there are some that will decrease it. As of now Fertility trait, Fertility Message and The Wishing Well will give a boost in fertility for the sim that has the buff. If there are any other fertility things in the game like that please let me know, as I haven't come across any others in game. Why did you make it so sims could be infertile or difficult to get pregnant? Well I like things to be different in game No seriously, I'm the type that doesn't like all my sims to be the same and changing their fertility is just another way I can make my sims different and add a little more drama to story telling. Wishing well, Fertility trait, or the fertility message will NOT guarantee a pregnancy, even 100% isn't a guarantee. MCCC Woohoo module will conflict with this. It doesn't cause it to break but it will override the percents. I'm not sure what else it will override, this mod also could override some of what it offers. This mod does not add locations to your game. If you do not have the pack that has those locations or those traits they will not be added to your game, they just won't be there.